Just think, if Willie had not betrayed 1908 people he may have well still been MP today. 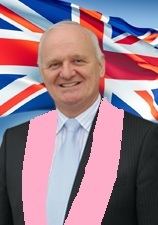 The 1908 voted for the TUV and it is goodbye and good riddance Willie. Poor Willie`s predicament is compounded by the fact “double jobbing” has ended. In the old days Willie would have lost the Westmonster seat but still retained his Stormont seat! Nowadays he has no cushy lucrative political position to fall back on. If my memory serves me correctly Willies plight gets worse still. I could swear a friend who happens to be a minister in the Pink Presbyterian Church told me the Church had passed a rule that no minister would ever be allowed to stand for “political office” ever again. When the rule was passed Willie and Pope Lundy were already elected representatives so they were allowed to continue in place but no one else was allowed to join them. All in all Willie is in a bit of a pickle, if the Pink Presbyterian Church has any brains they will get rid of Willie pronto.